Tri-County Title Services, LLC a family owned business. We take pride in our years of experience, friendly staff and our customer service. Our goal is to provide top rate title service at a reasonable rate. 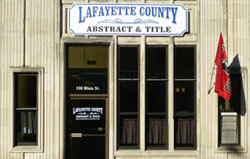 Lafayette County Abstract & Title was established in 1981. Rhonda Hartwig, owner of the company, has been working in title processing since 1971. Heath Hartwig, joined the business in 2001 as an owner. 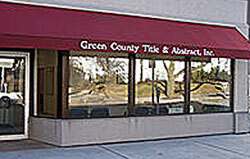 The business expanded to Monroe in 1993 as Green County Title & Abstract, Inc. 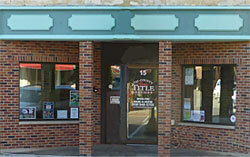 In 2004, the Hartwigs expanded to Grant County in Platteville as Tri-County Title Services, LLC. Green County Title and Abstract, Inc.